Sakli Konak Cappadocia hotel is just located at the heart of Cappadocia, 100 meters away from Uchisar Castle which is the top point of Cappadocia. We renovated a 100 years old mansion and furnished with elegant and comfortable equipments to fulfill the guests needs. All the rooms have stone archs which is the traditional architecture of Cappadocia. Rooms have their own bathrooms, TVs, hairdryers, personal toilettes, tea-coffee setting inside. 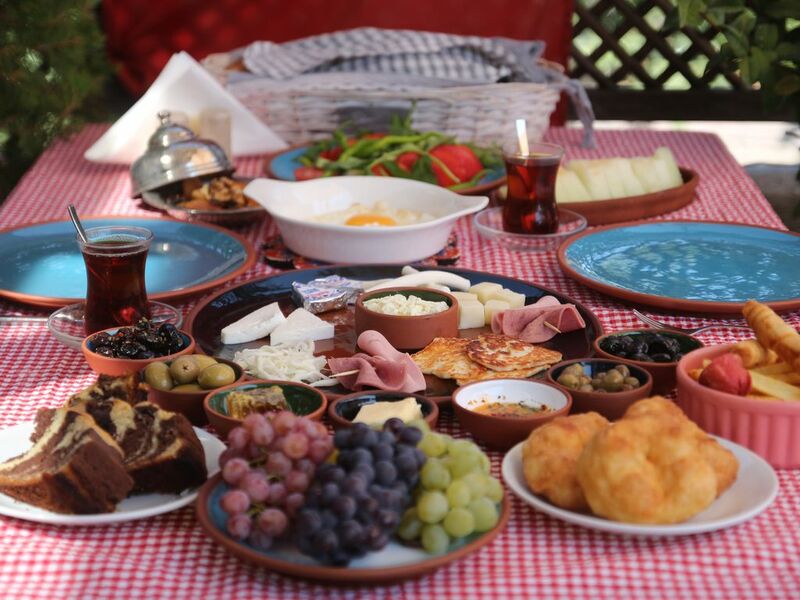 We serve one of the best breakfasts not only in the region but also in Turkey. Our hotel restaurant, in which we serve the best examples of local food, has been rated as the number one restaurant of Cappadocia since 2014 again and again. Moreover, we have been choosen as the number one budget hotel of the world in 2016 by one the biggest travel community of the world. Our guests have the chance to explore Cappadocia like a local because our team is providing accurate and guest oriented information about the region rather than tourist traps. Sakli Konak Cappadocia is more than a regular stay, Sakli Konak is a real Cappadocian experience that you should not miss.